As a native of California, DIANE ELENIAK was born and raised in the San Fernando Valley. In 1985, she moved to Simi Valley with her family and on to the Wood Ranch area of Simi in 1990. This was also the year she became a licensed Realtor. At that time her girls were three and five so she spent the next 10 years as a stay-at-home mom. 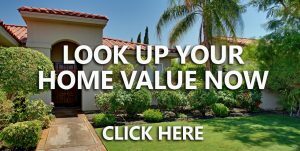 For the past 18 years, Diane has been one of the most dedicated and committed real estate consultants in the Simi Valley area. She consistently maintains the reputation of being service oriented and understanding, with particular attention to communication and details. Over the years, the needs of the community have changed. It has always been Diane’s goal to fill those needs. To better serve the consumer you need a high level of expertise and Diane takes full advantage of all the resources available to her. During the housing downturn the focus of her business was consulting with homeowners of distressed properties who were in a financial crisis. She earned the Certified Distressed Property Expert (CDPE) designation, having completed extensive training in foreclosure avoidance and short sales, and consulting with buyers and sellers during this stressful and complicated process. With the help of her experienced Short Sale Negotiator, she can move the transaction forward in a timely manner. To increase her knowledge in this area she also earned the designation of Short Sale and Foreclosure Resource (SFR), Certified HAFA Specialist (CHS) and Keller Williams Realty Short Sale Mastery. Earning the Seniors Real Estate Specialist (SRES) designation was important to increase her knowledge and become a trusted resource for the changing lifestyle and financial needs of the senior market and over the years, helping many move closer to their family. The extensive instruction Diane received to achieve the Graduate Realtor Institute (GRI) desination has also proven to be very valuable to Diane in serving her community. In addition, Diane is an ASP-Real Estate Agent (Accredited Staging Professional). With additional education and prior employment background centered around Contract Interior Design and Tenant Improvement Construction Management, Diane knows how to get a job done. This prior experience has proven to be valuable in her real estate career as it relates to presenting the home, communication and coordination with all parties involved, including contractor/repair professionals and managing the many details of the sale transaction.